There is ample street, public pay lot and limited private lot parking available for our guests. 403-245-8787 to set up an appointment. Oceana Seafood, Steakhouse & Bar is perfect for all types of special occasions or private parties. Our team at Oceana has unparalleled experience in coordinating parties both large and small. Our private dining room can accommodate group sizes up to 20 and is ideal for birthdays and anniversaries. Oceana is located just off the beautiful river banks of Calgary’s Bow river in Eau Claire. Our new location boasts beautiful views of the Prince’s Island Park and its pathways and is the perfect setting for every dining occasion. At Oceana we are proud to offer Calgary’s largest selection of fresh fish and we serve only the best AAA Sterling Silver Beef. During the summer enjoy the evening sun on our beautiful patio away from traffic and the city hustle. Enjoy any one of our three contemporary and comfortable dining rooms that look onto the pathway of Prince’s Island Park or relax by any one of our two fireplaces in cozy club chairs, or share and intimate evening in our clamshell booths. Oceana is the perfect spot for every occasion. Alaskan King Crab Legs 3/4 lb. Great location, excellent service, and the food was exceptional. Would definitely recommend this restaurant to friends and family. Already planning our next visit. 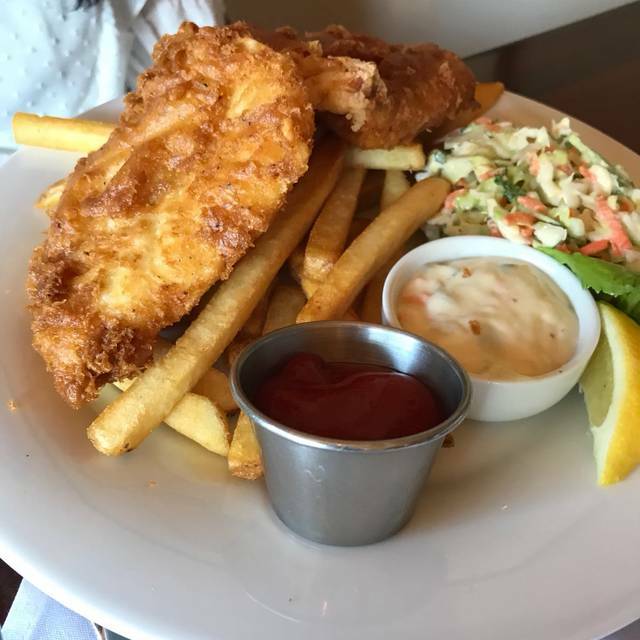 One of the best halibut and chip dishes in town. Absolutely stellar food - the only problem was they try to fill you up on bread before the main course arrives! This is our go to favourite restaurant for anniversaries and birthdays. The food,ambience and service is first class. Would highly recommend Oceanas to anybody. The moment we entered we were welcomed as friends and were offered a table with a beautiful view. 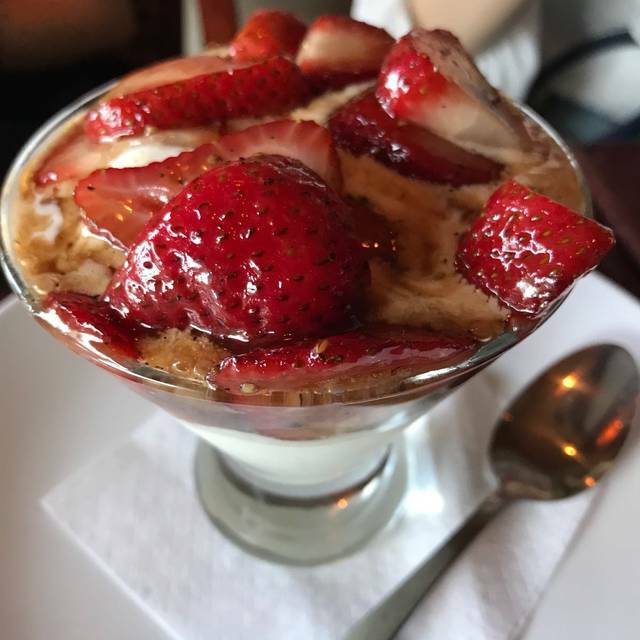 The food was absolutely delicious and the service excellent. 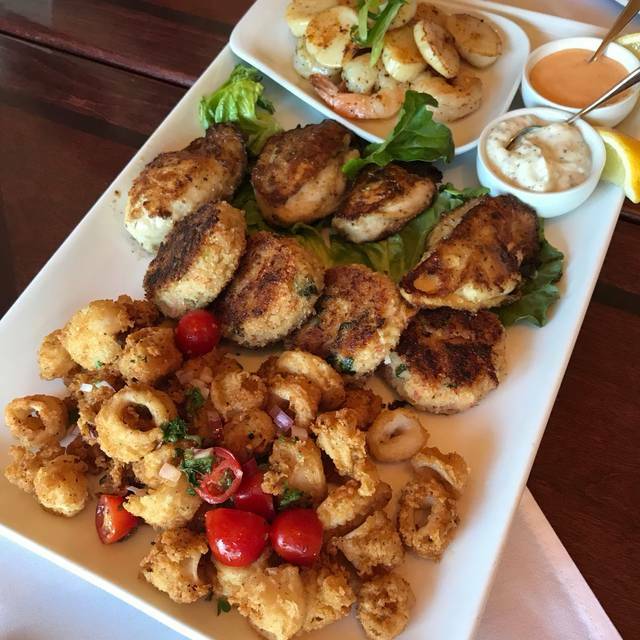 The fisherman’s platter is the best $30 meal in town. The service and servers were excellent very professional. I would highly recommend Oceana restaurant. Very cute decor and romantic place but while we were dining there was a cocktail party and a birthday party so this place is great for all occasion. The food was amazing specially if you like seafood! Food was great, service was excellent. We will be back. Absolutely loved it. Food was great. Service was amazing. Will definitely be back. Always a favorite, good food decent wine list and great service. Dinner was delicious and restaurant is beautiful. My only complaint would be that they chose to put my girlfriend and I at a table in an area where there was a party of 12. While fairly busy, there were other tables available. Predictably it was quite loud and made our special birthday dinner not nearly as enjoyable. I was pleasantly surprised. We went for a lunch and had a seafood salad. Lots of seafood and excellent flavors! The prices were less than some of the more common places such as earls. It was quiet and we could have a pleasant discussion. Highly recommend! As always, we were not disappointed with the food, service, ambience and will definitely be back. Slow service. Arrive 11:50am for lunch meeting. We eat out a lot, and this place was a quite disappointment for us. Service was nice. The food was plain... lacks of flavour at all, not tasty. My husband who likes spicy food asked for some spicy dip or sauce to add to that plain food, but the restaurant had nothing to offer. The dishes we ordered cost $31 each, but they are not worth this money at all! When we came for a dinner at this place, we expected to have a delicious seafood meal. Instead we had a few pieces of seafood, 5 huge plain pieces of carrots, and tasteless rice. We will not come to this place again. Excellent choice for a birthday dinner (after many years, still very enjoyable). great atmosphere,great waitress and host,great food! Very nice! We had a very friendly server who recommended the grilled octopus (it was excellent), and we had a half dozen fresh oysters as well, which were some of the better oysters I've had, both just very fresh. We had gone the day after Valentine's day so it was still a reduced menu, but we had the shrimp and scallop papardelle, and the Chilean sea bass, both were very nice. 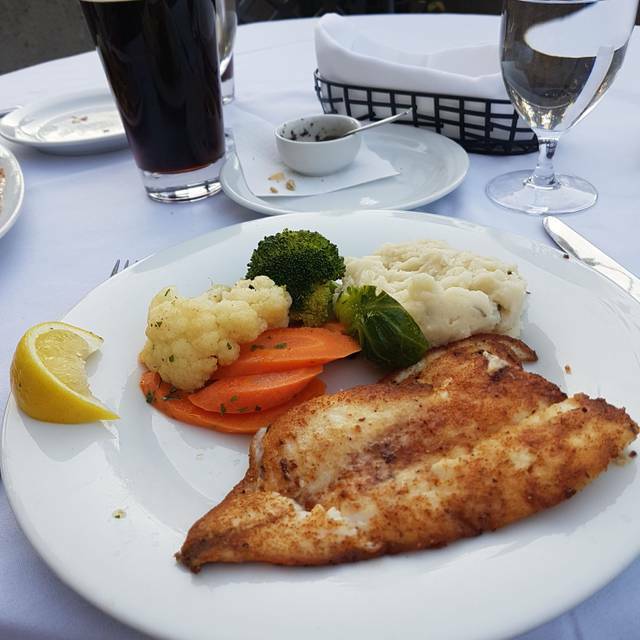 The sea bass was quite simple with minimal accompaniments (just steamed vegetables) so I felt it was maybe slightly overpriced, but I would order it again, it was exceptionally moist. When we walked in host didn’t even look up to say hello as we stood there for about 3 min, then a lady walked over took us to a table didn’t ask or care if we had a reservation or not. Server was great at first then seemed to busy to come back and get us the things we needed when supper came like a knife so I had to use my husbands steak knife to cut my veggies and potato up didn’t offer pepper and when came back with our drinks I had to ask for pepper and meal was almost done. Portion size of appetizers and meal were small and average for taste. Consistently great food and service. Always a fine dining experience. We brought in a party of 8 for our 25th Anniversary and had a terrific time. The service was outstanding, even the manager came by and spent time with us. Highly recommend it as a place to dine! Service from our waitress Vivian was terrific - we took our time ordering, but she was very attentive. The arctic char was very tasty but just a touch dry. The Alaska King Crab was very good - so sweet and tender, although quite pricey. Overall a 4 out of 5. The Octopus appetizer is highly recommended. By far the best fish and chips in town! First time visit and we were very impressed. I believe the best lobster I have had in western Canada. Great job team, we will be back. Excellent food great atmosphere! My favorite place for dinner in Calgary! An overall awesome experience. The server was lovely and gave us impeccable service. The food was amazing, some of the best chicken I have ever tasted. The seafood was really great as well. I love Oceana! It's my favourite seafood restaurant as the seafood is always so fresh and the customer service is always spot-on. We ordered the Grilled Octopus and the Crab Cakes for appys. They were both so delicious. The octopus was grilled ever so tender and the crab cakes with that sauce was so good! We decided on the Daily Lunch Special which happened to be Grilled Arctic Char with steamed carrots, broccoli and brussel sprouts and a nice fluffy wild and brown rice pilaf. Everything tasted so good. 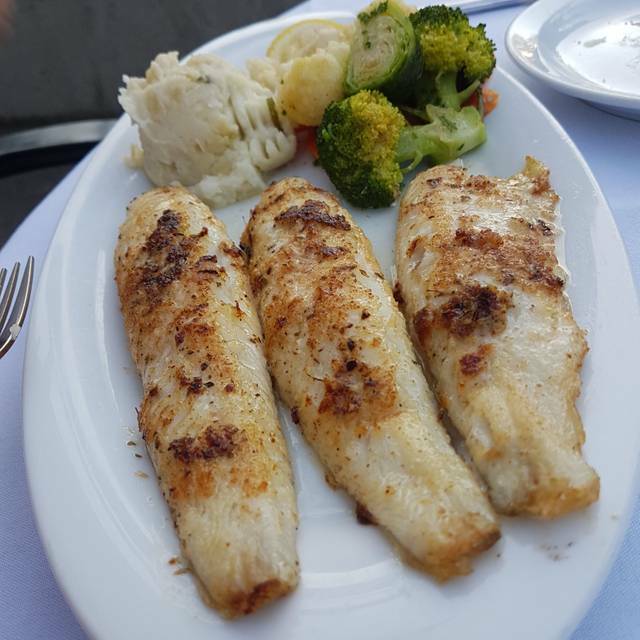 The fish was so fresh, especially with that squirt of lemon. Ended up with a free dessert for my birthday - Cookie and Cream Cheesecake - Yum! We will be back, Oceana! We where really disappointed with the service. Very slow service for water and drinks. Empty plates sat on table for a long time. The arctic char was very poor quality. The lobster was only average. The lamb was very good. Great food - great service - great surroundings - we were the first customers for the night - in the mood for seafood - was not disappointed. Great food and excellent service, as always. Thank you!